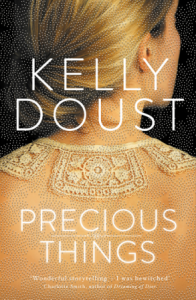 Precious Things by Australian author Kelly Doust follows a handmade beaded collar through history to the present, touching on the women who owned it and wore it in the past. 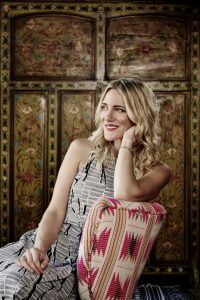 Kelly Doust joins us on the blog today. Thanks for joining us Kelly. How did you become interested in vintage clothing? I fell in love with all fashion when I was really young. I was that kid into dress-ups who always wore weird stuff to mufti day with makeup applied on the bus, inevitably having to wipe it off when a teacher noticed. My local charity store and flea market first exposed me to vintage clothing, but I also adored my mum’s seventies denim flares, cork wedges and plunging velour evening gowns, which seemed so risqué and fun and spoke of grown-up adventures I was dying to become old enough for. Not really, but I wouldn’t mind being proven wrong. I wore a refashioned eighties wedding dress for my own wedding and didn’t give it much thought at the time, although the true story behind why it ended up in a vintage clothing store probably isn’t the rosiest. In most cases there’s no way of learning the history of a vintage garment. Does this make you sad or do you prefer the wonder and intrigue? 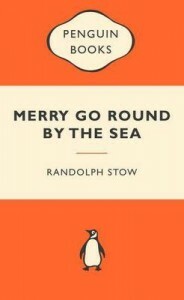 It’s a kind of sweet sadness, the idea of stories being lost but it’s also the natural way of things. I’m always visiting fashion exhibitions because they share photographs and plaques with all sorts of fascinating contextual information. The May 2016 issue of UK Vogue has this brilliant fashion story featuring costumes worn by Mick Jagger and Keith Richards during their years of touring with The Rolling Stones, but Kate Moss is modelling them with a thoroughly modern twist. That’s so inspiring to me. This is your debut novel, but you’re certainly no stranger to writing. 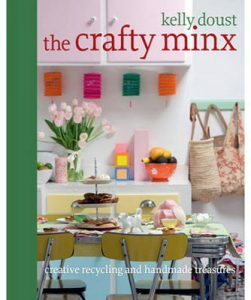 You’ve worked in the publishing industry and published a number of books (including: Crafty Minx, A Life in Frocks, Minxy Vintage and The Crafty Minx at Home) and I was wondering where you do most of your writing? Usually at home, but last year we were renovating and I ended up writing in my local cafe most days. It was actually quite useful, because I tried to write as much as I could before ordering another coffee, which made me quite productive. I try to have only two cups a day, so it really focused my mind on writing quickly! Inga Simpson’s Where the Trees Were and Katherine Brabon’s The Memory Artist, which recently won the 2016 Vogel Award. Both are so beautifully written. Inga Simpson’s passion for Australian natural history just shines through in Where the Trees Were, and I love the premise of the novel, which slips from present to past to uncover the story of the trees her protagonist, Jayne, is trying to protect. The Memory Artist is also quite staggeringly accomplished, especially for a first novel, and its Russian setting is very evocative. I find myself reading it in awe. What’s next? Apart from promoting Precious Things, what are you working on at the moment? I’m working on a second novel. 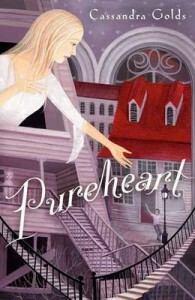 Not a sequel to Precious Things but another novel set in England with many similar themes. I also have a new day job, which involves choosing books to turn into audiobooks. It’s really thrilling – I’m reading so widely and love the idea of bringing authors to new readers or listeners. Thanks for your time Kelly and good luck on your next novel! It is commendable that recent Prime Ministers have continued the Prime Minister’s Literary Awards even though, as with some other literary prizes, its future has often seemed under threat. It is a prestigious national award amongst the also-important state and other literary prizes. And it is lucrative, with winners receiving $80 000 and shortlisted authors $5 000 – the latter amount equal to winners’ prize money in some other awards. I’d like to make some additional comments on some categories and specific titles. It is excellent to see that poetry has its own category here, as in other awards. There is a thriving Australian poetry community and publishing output that readers might not be aware of. As a starting point, explore the Thomas Shapcott Prize, an annual award for emerging Qld poets, which reminds us of the exquisite poetry and prose of venerable Shapcott himself. The fiction category includes the delightful Fiona McFarlane’s The Night Guest (Penguin: Hamish Hamilton), which may have been shortlisted for as many recent awards as Richard Flanagan’s The Narrow Road to the Deep North (Vintage). Australian writers and readers are still celebrating his well-deserved Man Booker Prize win, almost as though we won it ourselves. 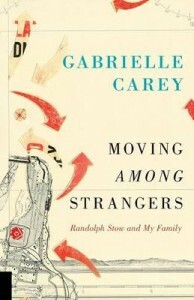 Gabrielle Carey’s Moving Among Strangers (UQP) about Randolph Stow and her family appears in the non-fiction category. 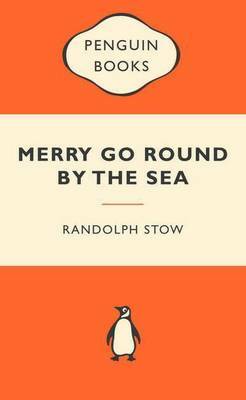 I chaired a session with Gabrielle at the BWF several years ago and was interested then to hear about her research on this important Australian poet and novelist. Shortlisted in the history category, Clare Wright has been scooping awards for The Forgotten Rebels of Eureka (Text Publishing). She is also a knowledgeable and entertaining conversationalist. The Young Adult fiction shortlist deservedly emulates some other YA awards, affirming Melissa Keil’s debut, Life in Outer Space (Hardie Grant Egmont), The First Third by Will Kostakis (Penguin) and The Incredible Here and Now by Felicity Castagna (Giramondo). It is great to see Simmone Howell’s edgy Girl Defective (Pan Macmillan) and Cassandra Golds’ groundbreaking Pureheart (Penguin) included. But where is Fiona Wood’s Wildlife (Pan Macmillan), which won this year’s CBCA award for Older Readers? Most State Awards have a children’s category, although it is inexplicably missing in the Victorian Premier’s Literary Awards. Children’s books are the foundation of our publishing industry – and keep it afloat. If our children are not encouraged to read, who will buy and read books in the future? How literate will Australia be? Most of the PM children’s shortlist has been appearing on shortlists across the country this year, reinforcing the quality of these books. Barry Jonsberg’s My Life as an Alphabet (Allen & Unwin) has been straddling both the children’s and YA categories. This, as well as Kissed by the Moon by Alison Lester (Puffin) and Rules of Summer by Shaun Tan (Hachette) have already won notable awards. 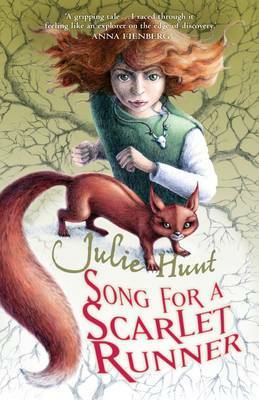 It is great to see Julie Hunt’s original fantasy, Song for a Scarlet Runner (Allen & Unwin) appearing on yet another shortlist and Bob Graham, Australia’s world-class author-illustrator, has done it again with his latest picture book, Silver Buttons (Walker Books).